It will be at Glenuig on 16th February. This weekend the tides were almost the same as they'll be on the day of the swim, so three of us did a recce. The video of the swim is below. Oh and if you're a kayaker please come - we need support kayakers! The tide will be coming in so we'll swim with it and hopefully any prevailing wind around into Glenuig Bay. It's a short swim to start the programme, but probably quite chilly, especially in the bay where a river reaches the sea. 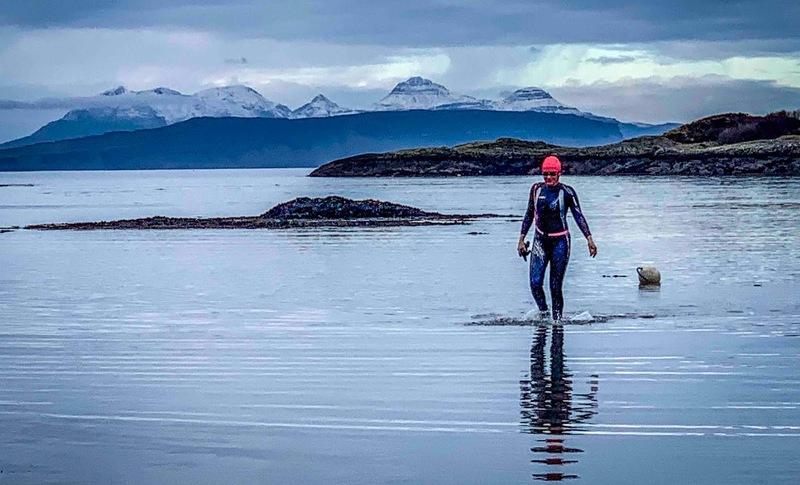 I thought the swim was over too quickly as I appeared to turn into Glenuig Bay, yet I was less than half-way, so don't be fooled. 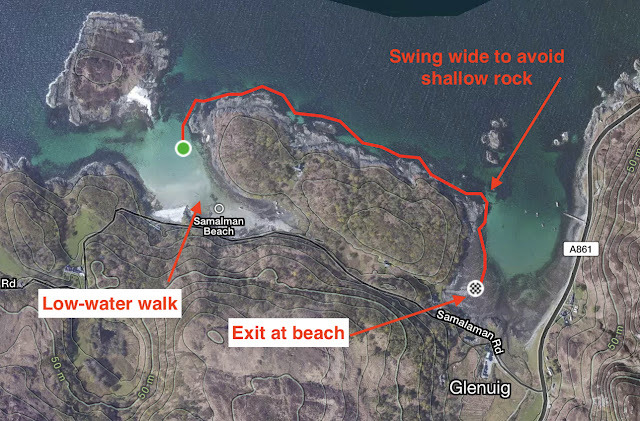 There's a small cliff on the shore-side as you enter the bay and a large flat rock underneath where the water is very shallow, so swing wide and you'll be in more swim-able waters. We had thought we'd exit by scrambling up a path, but it's rubbish. However, work your way deeper into the bay and, after a short rocky plodge, you'll find a dark sand beach that leads back to the starting point at the Village Hall. 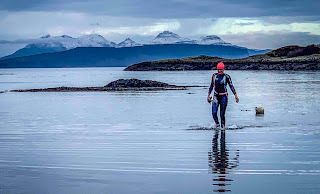 Where we'll have a talk by the astonishing swimmer Colleen Blair, recently voted number 4 in "2019 World's 50 Most Adventurous Open Water Women". 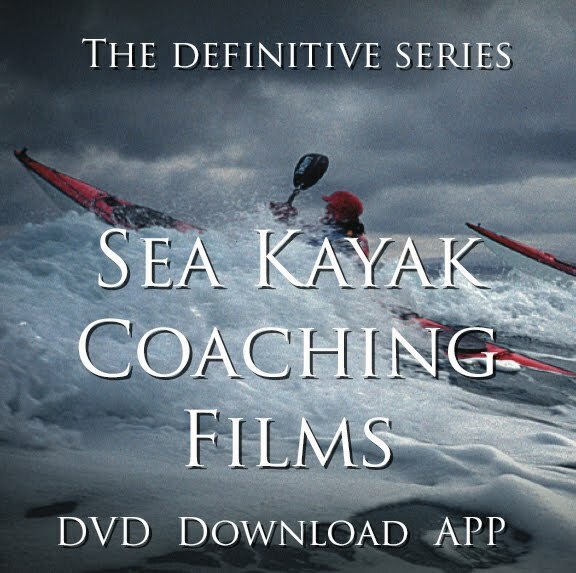 I filmed her successful swim across The Minch last year for The Adventure Show, a world first. Registration at HighlandOpenwaterSwim.com costs £10, then swim entry by donation - please give what you can.